We are a volunteer-run running club with roots firmly planted in the Ogmore Valley in South Wales. 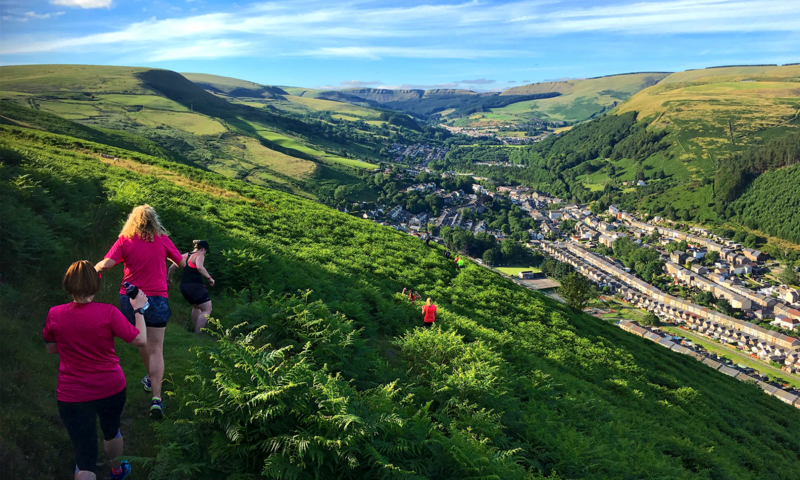 The club was established in 2012 as Cwm Ogwr Running Club by a small group of people getting together in Ogmore Vale to create a focus for local runners. This year the club has risen from the ashes of the old club under a new name to go on to bigger and better things. Since its beginnings it has grown to over 300 members, many of whom have graduated through the club’s zero to hero beginners group, taking complete non-runners to achieve their first 5k and beyond. Many of these are now marathon runners. From couch to marathon! An accolade to our ethos of inclusivity. The catchment of the club has also grown, now having members from the Ogmore valley, Garw valley, Llynfi valley, Bridgend and beyond. We have members from all different backgrounds making it a wonderful mix of people. A running family. A family of men and women of all ages ranging from our current minimum age of 17 all the way up to our oldest members well into their sixties! The club regularly has very high attendance at races. We are dominant in numbers within the local Bridgend County Running League and placed second last year in its second year of running due largely to our high participation. This also extends to major races, often requiring travel, where we have spread the reputation of the club name far and wide across the UK and beyond. Trips to races with large numbers typify the bond and camaraderie between all our runners in the club. It provides a platform not only for physical well-being but also social interaction and many of our members meet socially away from training or racing having become lifelong friends through it. Slow runs become outings with friends. An opportunity to chat and keep fit at the same time. Very active social media channels provide our members with the ability to support each other as much in their daily lives as with their running. Running is also good for the soul. A distraction from the rigours of life, it provides therapy for many. You can’t beat running up a hill and standing on top of the world taking in the view on a sunny summers evening! A great healer. The club is affiliated to Welsh Athletics, the national governing body of athletics in Wales. All members of the club benefit from everything that offers. It also allows us to participate in national league and championship events, which on occasion we have with members even representing South Wales.